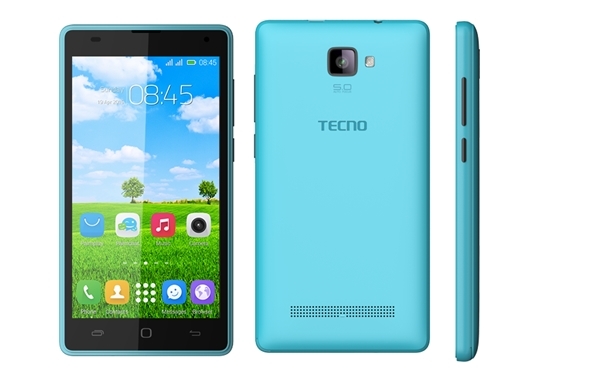 The Tecno Y6 is one of the most powerful and cheapest mobile phones available today by Tecno, a successor to the Tecno Y5 which is really competing with the top mobile phone brands like HTC, Samsung, and Nokia. With its fashionable design and slim body it releases an endless charm. Improve your social, professional and entertainment life with this all-in-one Mobile Phone, Tecno Y6. The design of the Tecno Y6 can be mistaken for the Tecno Y3, the both have a striking resemblance when it comes to body design. This time, the device sports a lager display than the Y3. Tecno Y6 brings you an awesome experience with its 5-inch FWVGA IPS capacitive LCD touchscreen display Size with 16,000,000 colors. You don’t have to strain your eyes to see. It has a screen resolution of 480 x 854 pixels a perfect resolution of course for such a device. The gadget has a dimension of 140.2 x 74.5 x 10.6 mm. The device boasts a 1GHz Dual Core processor with 1GB of RAM bringing the speed and power you’ll need for your apps. It comes with 8GB space of internal storage and can be upgraded up to 32GB via microSD card slot. It runs smoothly on Android 4.4.2 KitKat operating system. The Android version for the Y6 isn’t “too bad and likewise not too good.